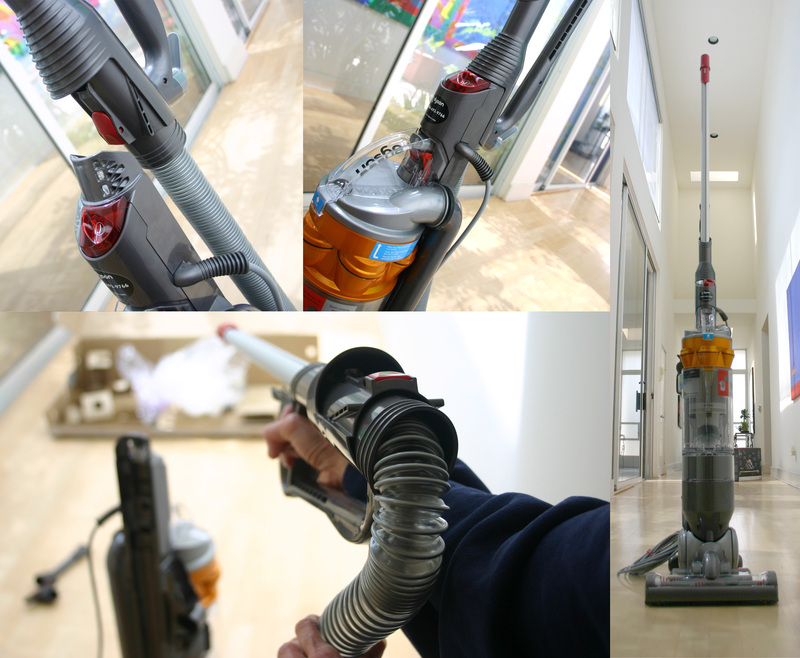 The Dyson DC18 “Slim” - there are so many design details that don’t get done justice in the usual pics… so here’s an overdose to get you up close and personal with the designer vacuum has changed the way i clean (disclaimer: i hate cleaning, dyson’s gone and made it FUN). And read this last post for why Dysons are THE vacuums for the FPS gamers, gadget geeks, ghostbusters’ fans, and sci-fi lovers. Could this ball joint be more sci-fi? It swivels every which way, literally reaching places i didn’t know i could get to without having to reach under things by hand. The extendable tube - i must admit i played with this quite a bit - there was something scifi/organic/slinky about the way it extends and contracts. 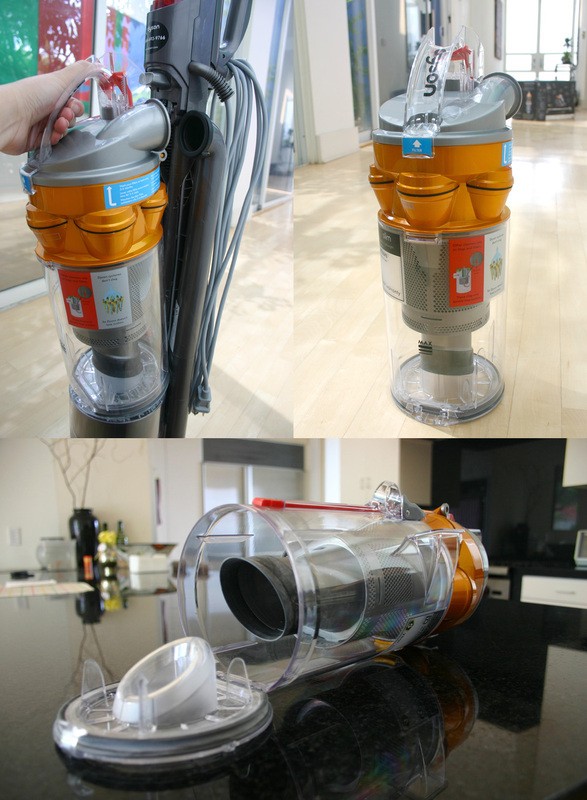 The clear canister - as i said in the previous post, its a lot like a ghostbuster’s ghost trap. There’s something terribly satisfying about seeing how much dirt you’ve sucked up… or it might backfire and make you realize how dirty the cleanest room really is. Here is a close up of the giant cleaning head - with on/off red spinning brushes, as well as the other attachments that go on the gun extension. I love the way the kickstand works on this Slim - its so elegant. You step down, tilt back, and by the time you lean it back up to vacuum it snaps up. When you stand it back upright, it comes down. Here’s a quick little video i made of how it works. 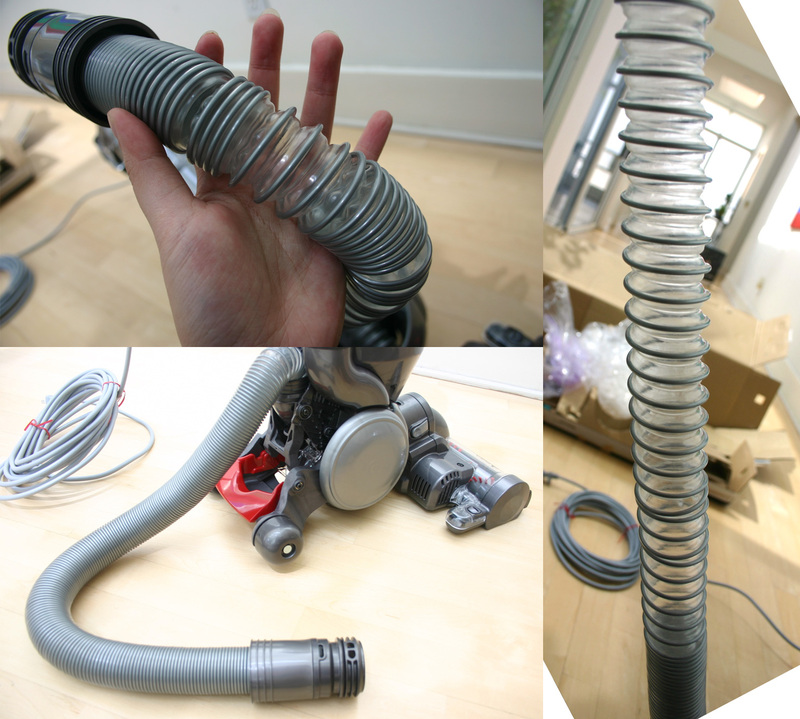 Bottom line: The Dyson DC 18 “Slim” - is my vacuum of choice. As someone not all that big on cleaning, but loves gadgets, great design (their attention to detail alone should make you swoon a little, no? and that font! )… as well as the satisfaction of getting to see all the dirt and dust collect up in the canister as you wield your giant gun of a vacuum around the house. Cleaning has never been more fun. Nor did i ever think there would be a vacuum i’d really be ok with leaving out when guests came by. My only issue with this gorgeous vacuum? The cord. When you wrap it up, the ending has the usual molding to clip on to the wrapped bundle, and it always seems to end RIGHT by the section you wrap around, we tried wrapping it normally (in a loop), in figure eights, and still never fit quite perfectly. But still a huge fan, and i’m impressed with how much dirt it found in what i thought was a rather clean carpeted room. That’s a great vacuum. I love mine,size is perfect. I don find it does fall over easy when I use the hose but it should loosen up with more use. What a piece of junk. My hubbie bought me one for my birthday. Cannister release looks like it’s going to break any minute. Dirt flies everywhere when i empty it. I doubt this will last as long as my old hoover. 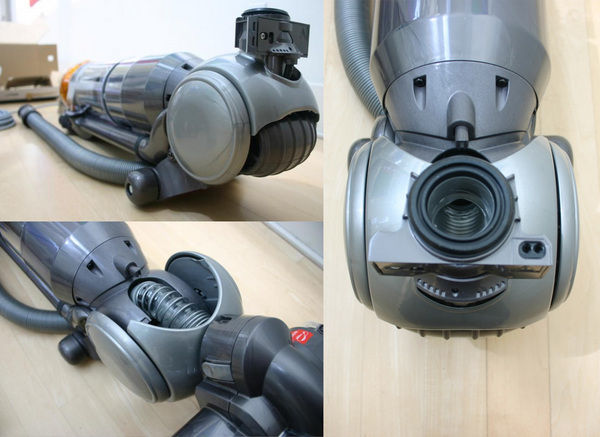 i’m taking the dyson back and getting a Sebo, seems like a much better machine to me. All these bagless vacuums seem so unhygienic. I got mine in circuit city too $147. That was a awesome deal.. I find myself wondering how did I go so long with out a Dyson? I love my new vaccuum. I just bought one today from Circuit City for $185! What a steal! I am thinking about purchasing a dyson vacuum. I am having trouble deciding on which model. I looked at the dc18 slim. I was wondering if it does a good job or should I purchase a different style. I have a neighbor that has the dc15. I was thinking about the dc25 only because I thought it was the best because it cost a lot of money. I have a rainbow now and also a kirby. Wanting to change. Whoop-whoop! By the way, this baby found so much cat hair I was hugely embarrassed that it took me so long to replace! (ADDENDUM: My first dyson: found @ a British Red Cross thrift store I worked in whilst attending university in the northern UK (circa: 1994). 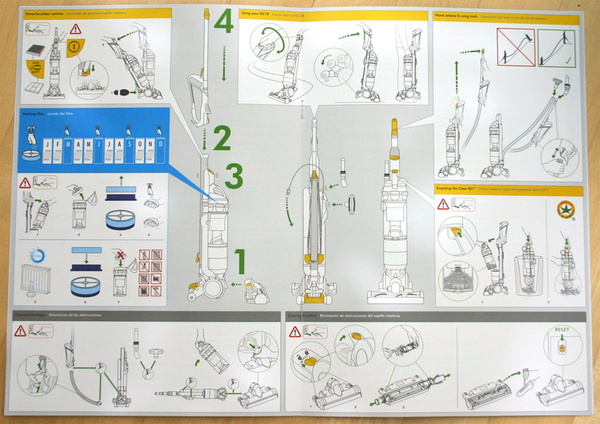 It was one of dyson’s original 5000 prototypes, but I didn’t know it then - as there were no labels/stickers/printed logos. I fell in love early / hard & wish I’d been able to take it with me around the world!) Just so happy James stuck with his idea —-> his concept’s really come a LONG way. CONGRATS on the stick-to-it-ness, Mr. Dyson. 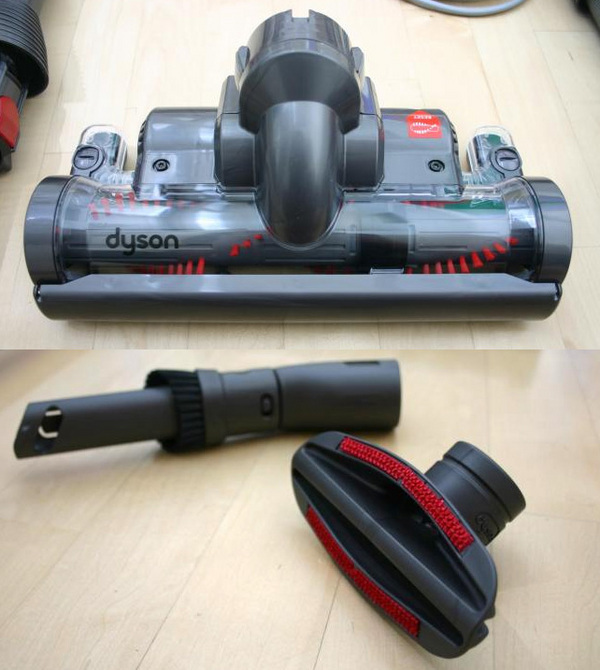 Looks like a great vacuum cleaner…..but who vacuums in high heels??? hi! i just got my dyson today and i love it!it is so powerful i think i sucked up a cat the first timed i vacuumed with it! i superliy recommend it! i rate this product *****! i am getting one this sunday! i cant wait!!! i am a 11 year old who loves dyson! i am counting the hours!! hi! i am going to get one of these this sunday. i have a rainbow and we are going to trade it in for a dyson slim. thank you for all the photos! they are so helpful so i know how to put it together. I just bought one of these, even though I already own a DC17 (I’m a Dyson fanatic). I can’t wait to try this out myself. Thank you for the detailed photos. They were clear, well organized, and thorough. 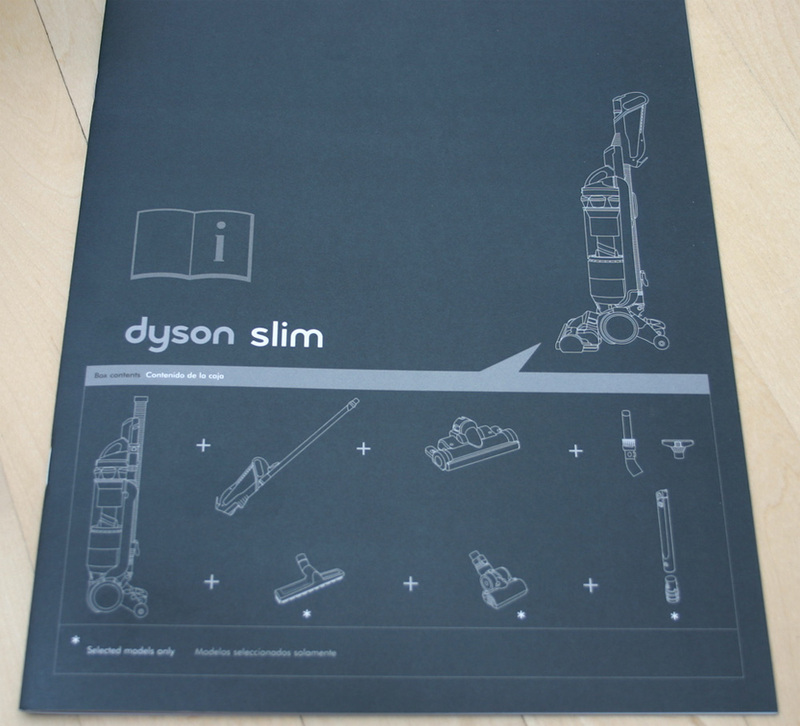 Sure wish the Dyson website was as useful. Do you know they don’t bother to mention the accessories. I have the DC21, by the way. I’m in a very small motorhome, and the canister stores a little better under and behind things. I don’t wrap the hose, but rather store it in a separate spot in a bag. I would love love love to buy one of these. Unfortunately i am but a student of design. But i do have a neat looking green Eureka with a cool loop handle, much like the Omop! i bought the purple one.